Ftiler bag is one of the key components that decides the efficiency of dust collecting and operating temperature in baghouse filter. It is a main cost at maintaing baghouse in replacement of filter bags. So the life of filter bags concerns baghouse cooperating condition and costs. Scientific designs for every filter bag's structure. 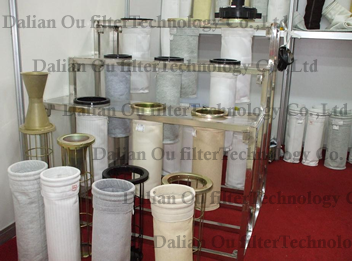 Our filter bags were designed well according to the requirements of the matched baghouse filters during filtering and dedust.It's easy to intall,have good sealing with cell plate. Meanwhile, excellent sewing machines & skills warrant good quality.